Director Ridley Scott revealed in September that his highly-anticipated sequel to 2012's Prometheus will now be called Alien: Paradise Lost, an announcement that thrilled and excited fans of the filmmaker's beloved Alien franchise. He later said that this sequel will actually connect to the Xenomorphs from the original Alien and Sigourney Weaver's iconic Ripley character, although we still don't know how these connections will be made yet. While we still don't know too much about the plot, the filmmaker revealed in a new interview with IndieWire that the title has changed yet again, to Alien: Covenant. Here's what the filmmaker had to say, about how he was working on this sequel when he was approached to make The Martian. The director didn't reveal why this new title change was made, but he revealed in an earlier interview that the title is inspired by John Milton's Paradise Lost. The filmmaker said that classic poem will "inspire" his story in Alien: Paradise Lost, while also teasing that it will connect to the original 1979 classic Alien. Here's what Ridley Scott had to say in an interview that took place in September. 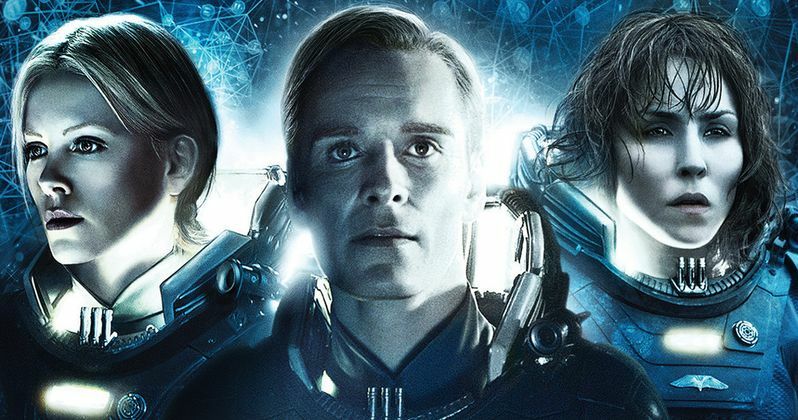 Michael Fassbender and Noomi Rapace are reprising their roles as the android David and Elizabeth Shaw, but no other cast members have been confirmed. Ridley Scott is directing from a script by Jack Paglen, Michael Green and John Logan. Production is scheduled to begin in January 2016, so hopefully we'll learn more about the plot, and whether or not this is the final title, very soon. Do you think Alien: Paradise Lost or Alien: Covenant is a better title?